Born at Arden on 10 May 1889, son of William Daniel Ferg and Agnes Ogston, he was educated at Arden School No. 341, Winnipeg Collegiate, Manitoba College, and Manitoba Law School. The Ferg family came to Manitoba from Listowel, Ontario in 1881; his father homesteaded near Arden and was later employed with the bridge and building department of the Canadian Pacific Railway. Ferg articled in law with the firm of Bernier, Blackwood & Bernier at Winnipeg and was called to Manitoba Bar in 1919. In December 1914, he joined the Canadian Expeditionary Force and was sent to France in August 1916 where he served at The Somme, Vimy Ridge, Hill 70, Passchendaele, and the Last One Hundred Days. On return to Manitoba from overseas, he formed a law partnership with D. G. Potter at Glenboro. He also served as solicitor for the Rural Municipality of South Cypress. He was made a King’s Counsel in 1949. On 22 September 1923, he married Helen Fleming Paterson (1897-1987), daughter of Rev. Robert Paterson of Brandon. They had three sons, Lorne Paterson Ferg, Patrick David Ferg, and Gerald Ferg, two of whom became lawyers. He was a member of the Law Society of Manitoba, Masons, and United Church. 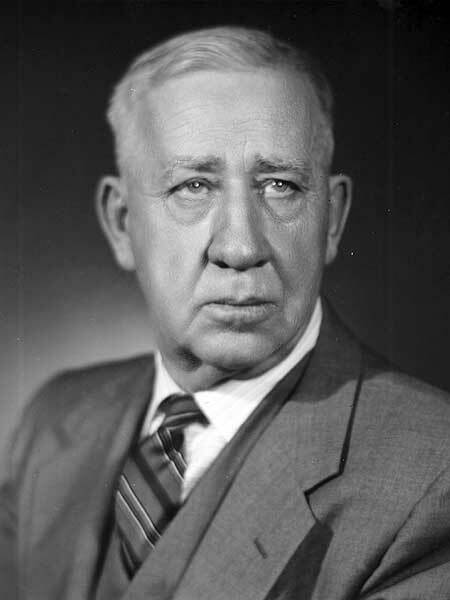 He was elected to the Manitoba Legislature at the 1953 general election, for the Cypress constituency, and served a single term. Elected Mayor of Glenboro in late 1959, he served only a few months before his death. He died at Winnipeg on 11 March 1960 and was buried in the Glenboro Cemetery. “Frank Ferg former MLA dies at 70,” Winnipeg Free Press, 11 March 1960, page 9.